At IR Magazine, we offer innovative advertising and sponsorship opportunities to enable you to get your message in front of our high-level audience of IR professionals. IR Magazine was founded in 1988 to help IR professionals be more knowledgeable, effective and successful in their careers. Who is our audience and how many IR professionals and decision-makers can you reach via campaigns with IR Magazine? Want to meet and network with the IR community at our global events? How does our content match up with your marketing priorities? 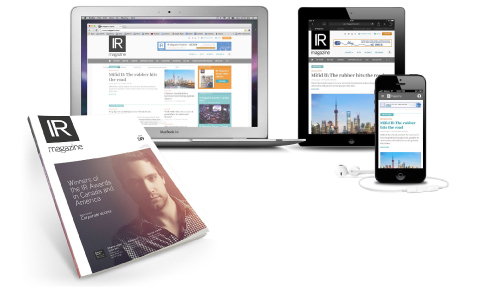 You're all set to start your campaign with IR Magazine and get the edge over your competitors - what are the specs for your campaign materials that are going to take the IR world by storm?